The best quality products and the most competitive price. 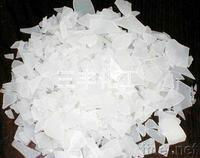 use: mainly used in pocessing chemical products and intermediate, such as resin,amide,etc,also used in plastic, spice, dye, medicine, synthetic fiber and synthetic rubber industry. solubility in water,< 0.03 per. 0.04 per. 0.14 per. packing: galvanized drum with capacity of 200 kg.